Men and women assigned to Navy ships at sea are far more likely to be sexually assaulted than service members at bases elsewhere across the force, according to a new Defense Department report. Across the services, the safest places to work were at the Pentagon or other national capital region headquarters buildings, according to the report. The Pentagon released the data on Friday as part of a much-anticipated report, that for the first time looks at the likelihood of sexual assault on a military installation or ship and ranks them by service. 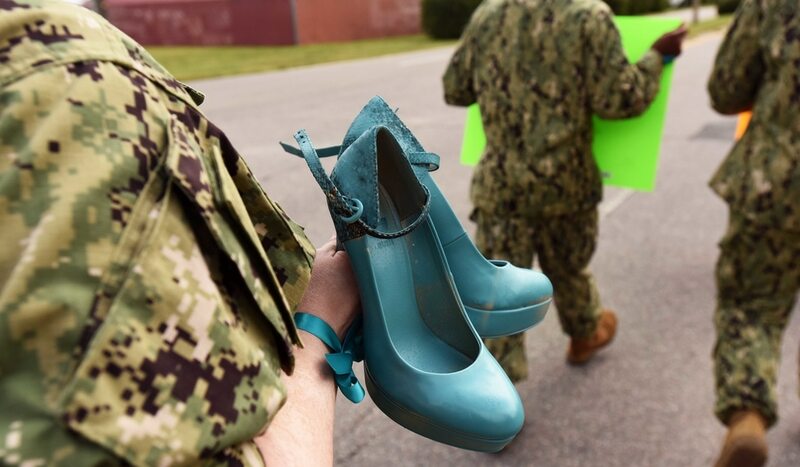 This searchable database details the level of risk for sexual assault faced by service members at individual military installations and on ships around the world. The rankings were commissioned by the Defense Department and aim to help military officials to better identify the risk factors for sexual assault and how to most effectively deploy prevention and response efforts. But RAND won’t name the ship, saying it was trying to respect the anonymity of the respondents. In the survey, RAND eliminated ships and bases with fewer than 50 survey responses, or with ship or base populations of less than 100 personnel. For Navy women, ships were particularly dangerous, according to the report. “Our model estimates that more than 10 percent of all women experienced a sexual assault at each of these high-risk installations over a one-year period, and more than 15 percent of all women were assaulted at two of them,” the report found. The list is from a new Pentagon report. For both men and women, Navy ships assigned to the FPO code 96671 — which based on Navy data includes cruisers Champlain and Lake Erie, submarines Louisiana and Louisville, and destroyer William P. Lawrence — “are associated with risk more than 100 percent greater than the average installation-specific risk in the Navy," RAND found. Navy officials did not receive an advanced copy of the RAND report but told Military Times that they look forward to working with the think tank on future surveys. “We are aware of the 2016 RAND Military Workplace Study Survey, and we value the approaches that RAND takes to cutting edge research," the officials said in a written statement emailed to Military Times. "The Navy has further engaged with RAND to help us take a closer look at the conclusions of this report by conducting follow-on projects to provide more actionable information about where sexual assault risk is highest and lowest in the Navy. Fort Drum in upstate New York was one of the most dangerous places for both Army men and women in terms of risk of sexual assault. For Army women, the top five locations in terms of risk of sexual assault included Fort Huachuca, Arizona; Osan Air Base, Korea; Fort Drum; Okinawa, Japan; and Fort Riley, Kansas. For men, the top five locations with the highest risk were located in Italy; at Fort Myer, Virginia; Fort Benning, Georgia; Fort Drum; and Rose Barracks, Germany. “While the lowest-risk installations for men are dominated by small, command or support installations, the highest-risk list includes many installations with a more prominent combat unit presence,” the study found. The first-of-its-kind list is from a new Pentagon report. For the Army, a cross section of the top 15 most dangerous bases for men and women showed that "almost half of these highest-risk installations are identical,” the study found, suggesting that location or culture at those locations could be a contributing factor that could be addressed in further study, said Nate Galbreath, director of DoD’s Sexual Assault and Prevention Office. Undergraduate pilot training bases were among the most dangerous places for both Air Force men and women for the risk for sexual assault, the report found. For women, the top five installations in terms of risk were Vance Air Force Base, Okla.; Laughlin Air Force Base, Texas; Altus Air Force Base, Oklahoma; Columbus Air Force Base, Mississippi; and Goodfellow Air Force Base, Texas. For men, the top five installations in terms of risk of sexual assault were Altus Air Force Base; Laughlin Air Force Base; Joint Base Anacostia-Bolling in Washington D.C.' Luke Air Force Base, Arizona; and Columbus Air Force Base. Men and women in the Air Force face the greatest risk of sexual assault at Air Education and Training Command bases, according to a new report from Rand Corp.
Marine Corps Air Ground Combat Center Twentynine Palms, in California, was one of the top five most dangerous places for male and female Marines for risk of sexual assault, the report found. Responses for male Marines showed that the other most risky locations to be assigned included Japan, Korea, and Afghanistan. For female Marines, Marine Corps Air Station Yuma, MCAS Beaufort, MCAS New River and USMC Mobile, 3rd Marine Logistics Group were reported to have the highest risk of sexual assault. In a statement, the Marines said more research is needed to understand whether increased risk is really tied to an installation. Galbreath said that now that DoD has the data, it will be able to look for installations where additional steps can be taken to reduce the risk of sexual assault. For example, around 2015, at Great Lakes Naval Base near Chicago, DoD noticed a spike in sexual assault reports and decided to take a closer look. “What the Navy found out is that, locally there, on the weekends, all of the recruits were going off base and having hotel parties. And a lot of these hotel parties involved alcohol. And a lot of those situations ended up with sailors getting sexually assaulted,” Galbreath said. With that, and training initiatives, Galbreath said, the numbers started to improve. The next survey is currently getting sent to respondents now, Galbreath said, and the results should be available in April.